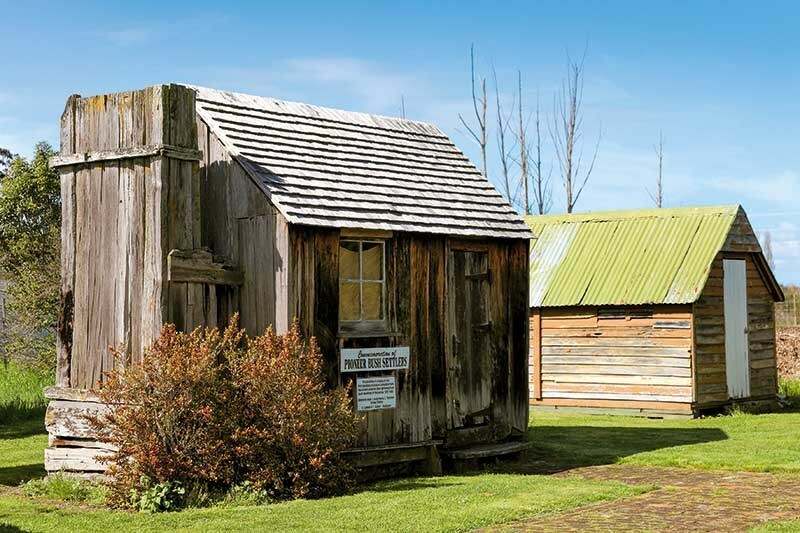 If history is your thing, you’ll enjoy exploring Ongaonga in Central Hawkes Bay. Viv Haldane took a guided tour with a local historian to find out more about this charming little town. I seem to have entered a parallel universe where time has stood still. As I park my car in Ongaonga’s main street, little appears to be happening. You could fire a rifle up the main street and not hit a single magpie. 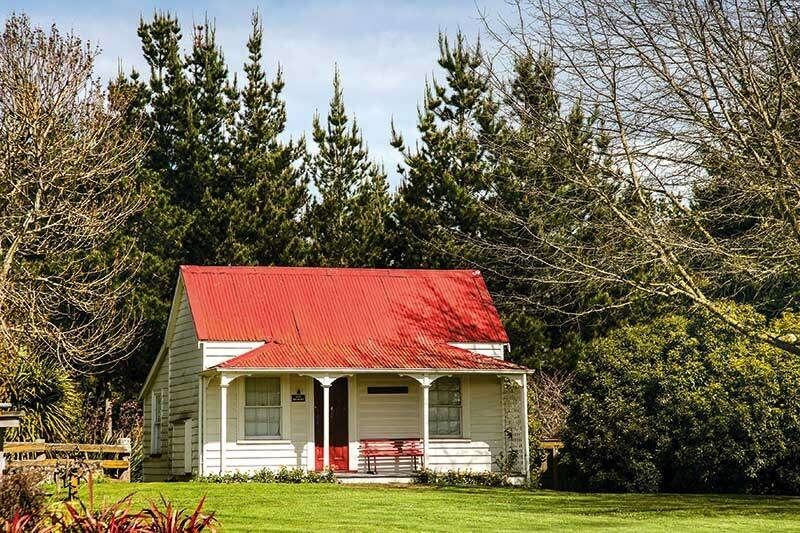 And this rural idyll is exactly what Ongaonga Store owner Lesley Hogan likes. She has lived here for 17 years, having come from Taranaki with her husband Terry, who passed away eight years ago. After a time of running the store on her own, Lesley has now put it on the market. "Life in the village is very relaxed. It’s a unique spot and doesn’t change much," she says. The store is the hub of comings and goings. It’s here where people pick up their mail or buy groceries if they’ve forgotten anything at the supermarket and where passers-by can enjoy a coffee or a light meal. It also sells petrol, although the morning I was there, a car pulled up and Lesley had to tell them she had run out. "Sorry, I’m waiting for the tanker," she says. "It could be tomorrow or it could be the next day. Ongaonga time I call it." (The tanker showed up 30 minutes later). Along the street comes a duckling style trail of children with one of their parents. It’s the school holidays and they’re happily heading to the store for a treat. 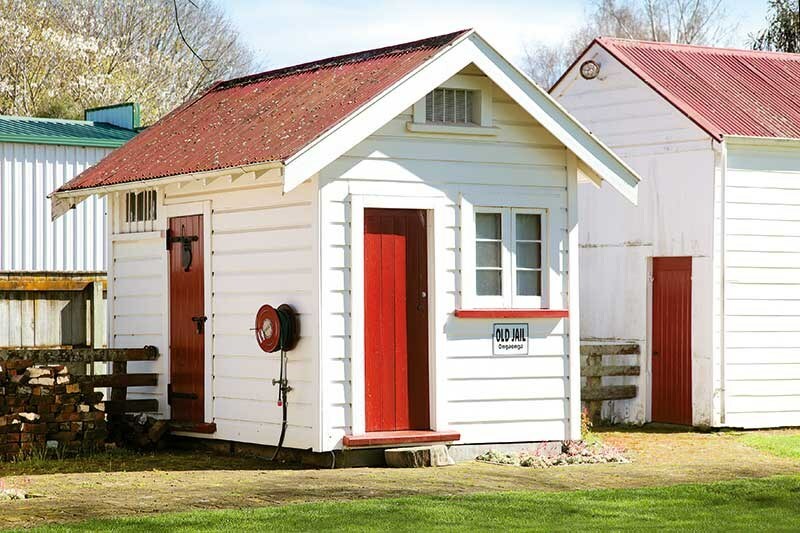 Ongaonga has a remarkable collection of well-restored historic buildings and Pauline Mackie is a mine of information about them all. 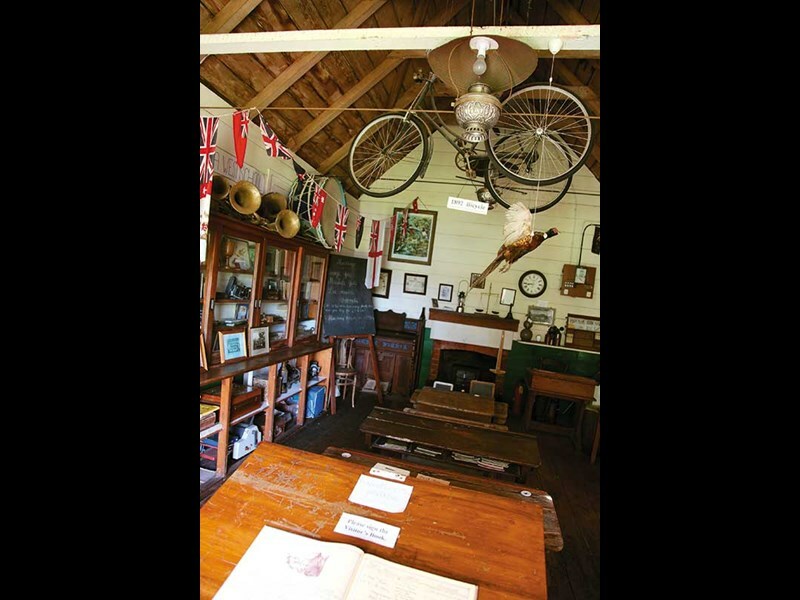 She’s the president of the Ongaonga Historical Society, and she and a group of others are dedicated preservers of the town’s treasured collection. She didn’t always feel this way about old stuff, though. When Pauline was made redundant some years ago, her friends suggested she join the local museum committee to keep her busy. "Museum, I said. Ooh, yuck, that’s all old stuff. I’m not old enough to do that. But I went to a meeting and that was the end of me. In six months, I was the president. Now they won’t let me go." 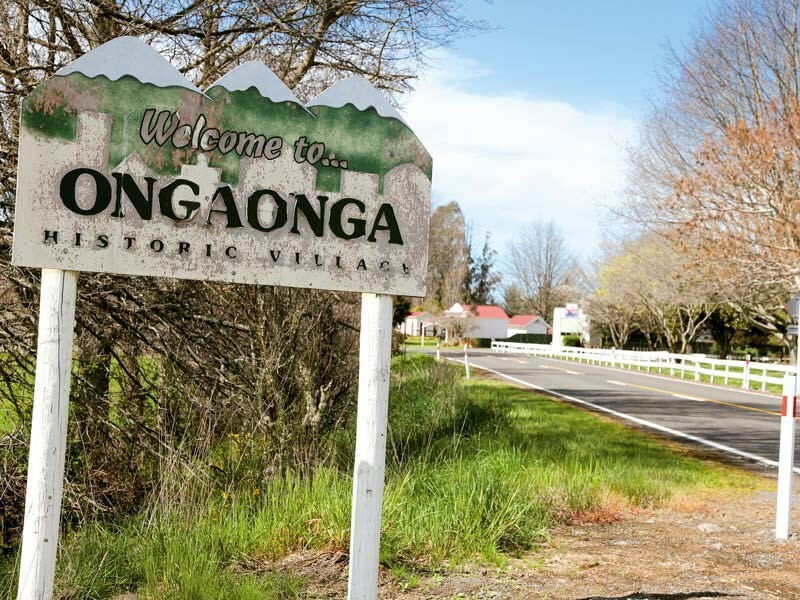 Ongaonga’s population initially grew because of the amount of rural industry in the district: farming, bush clearing, and sawmilling, all contributed to the local economy. 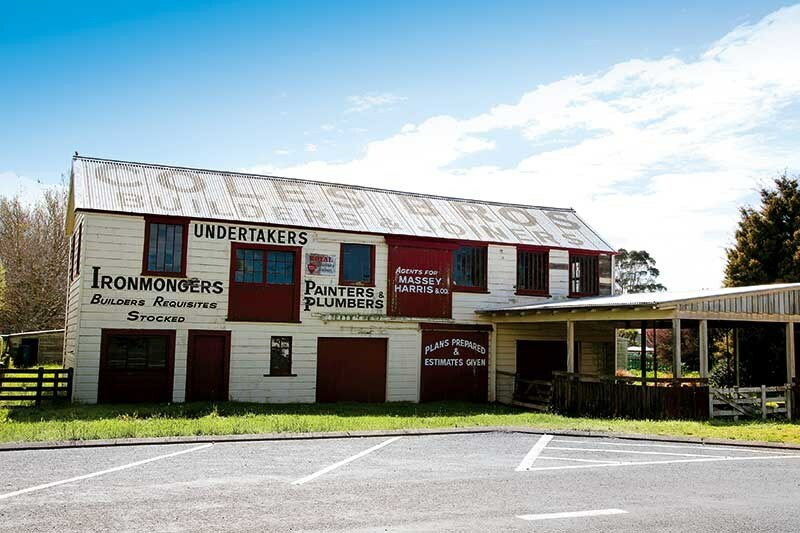 The main street was lined with shops—there were 29 at one time—and coaches ran twice daily to the town of Waipawa 20km away. The town’s forefather, Henry Bridge—the main street’s namesake—spotted an opportunity and in 1872, laid out 78 sections from his estate and auctioned off 51 of them, leaving the rest for public buildings. The house next door to the store, formerly the post office, has been immaculately restored and is someone’s home. Further down the street, a young man has bought a house that once belonged to his grandfather. He appreciates its history and is keen to keep it in the period it was built in. 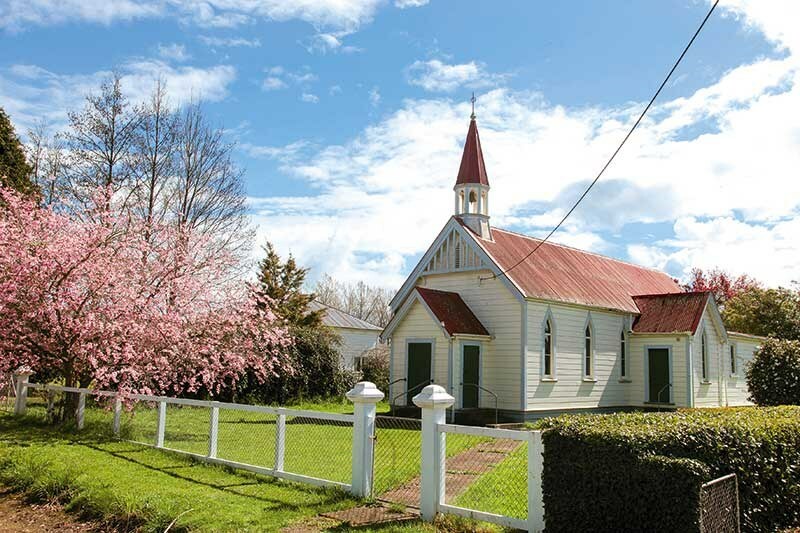 The people of Ongaonga galvanised into action to raise funds to prevent St Oran’s Church, built in 1913, being sold. "In three weeks, we raised $34,600 and won the tender for it. Every year, we have a combined church service there," says Pauline. A building she feels particularly passionate about is Coles Brothers Joinery building. Located opposite the store, it remains a raw-boned structure, a reminder of a time when 20 men worked there, building everything from coffins to cabinetry. Edward Coles was a builder from England and was responsible for much of the construction in Central and Southern Hawke’s Bay. At its zenith, the factory employed 20 men. 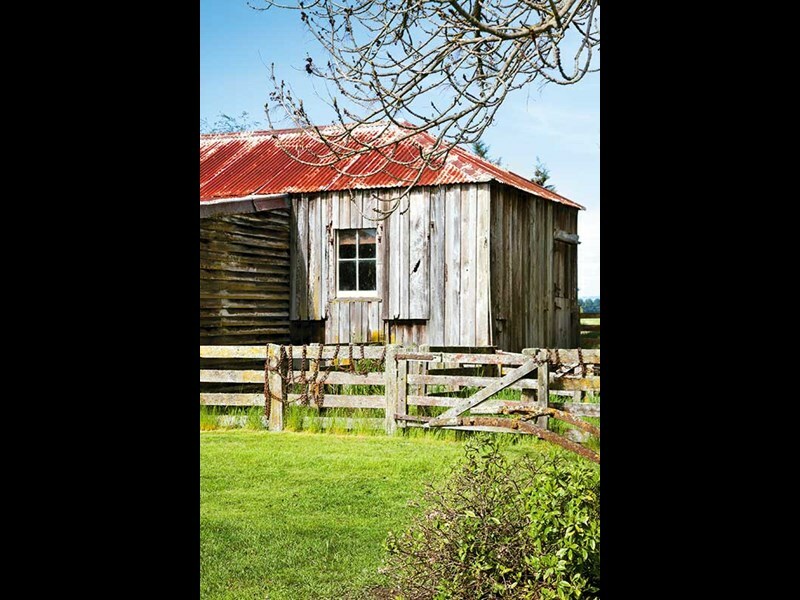 "It’s the only joinery factory in New Zealand in a village; the rest have been pulled down. I think it’s vitally important to retain this sort of history. Now it’s been listed as a Heritage Category 1 building, which will enable us to move forward with renovations." The red schoolhouse built in 1874 remains in its original position and on its original foundations. 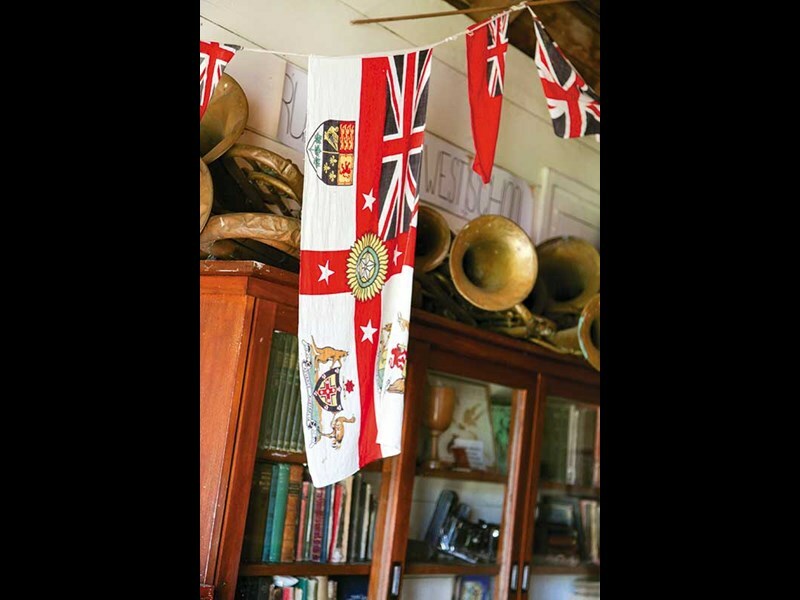 The tiny space is jam-packed with memorabilia, including school desks, the dreaded strap, the village orchestra’s instruments (dating back to the early 1900s), and the bunting used to welcome soldiers back after World War 1. As we poke around in here, a father and son from Canada drop in. "This is exactly the sort of authentic historical place we are after, rather than a big museum such as Te Papa," they enthuse. The pair had noticed the sign on Highway 50 and taken a detour. Remember the days when the always-cheerful butcher (ever met a grumpy one?) had his speciality shop? 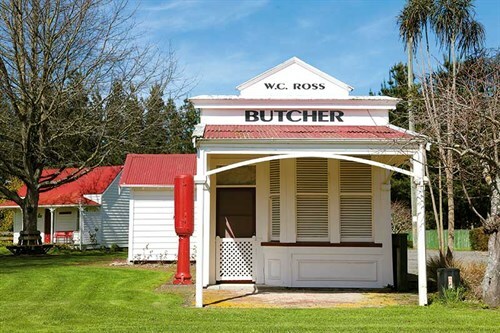 W.C. Ross’ Butchery is a real wee dinky. 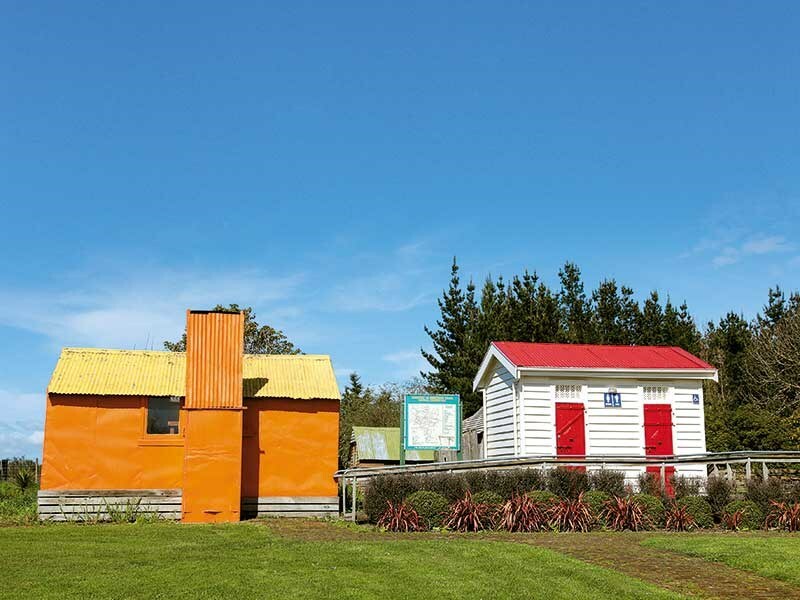 It was apparently noted by architect Michael Fowler as one of the best architectural buildings in Hawke’s Bay. The miniature jailhouse has a funny story attached to it. According to Pauline, the last residential policeman, Constable Rustin, used to enjoy sitting opposite the hotel, waiting for 6pm closing and listening to the music and babble wafting forth. But one night, as he watched a patron attempt to wobble down the road on his bicycle, he thought, ‘I really must do my job’. He told the fellow, "You’re intoxicated [and] in charge of a machine. I think you need to spend the night in the jail." But when they got there, the good constable remembered his onions were drying on the bed. He stepped inside and the wobbly cyclist shut and bolted the door. The copper was left alone in the dark with his onions and was apparently the only person to ever spend the night there. It’s time to leave Ongaonga to its sweet serenity, but before I do, I need to wait for the rural postie to move his vehicle so I can take a photo of the store. As well, there’s a lady in a people mover, collecting her post and taking time out to have a chat. That’s the way it is here: no hurry, no worry. For tour bus booking of Ongaonga, call Pauline Mackie on 06 856 6735. Viv Haldane checked out Route 52 in the middle of winter.